So I got something in the mail and it came in a nicely sized box. So obviously, the cats were immediately interested. Duncan jumps in….and sits. Just sits. For like 5 minutes. Now I know that’s probably not a cat record but it was weird all the same. He didn’t lay down, he didn’t do anything, he just sat in a box. We’ll once he finished his sit, he left….and Smudge came by and did the same thing. He just sat there in the the middle of the box. Eventually Duncan was sitting outside of the he box looking at it, and Smudge was inside sitting facing toward Duncan. The box was just tall enough that they couldn’t see each other but I knew they had cat brother sense and were sharing some sort of cat sitting bond. Brothers. 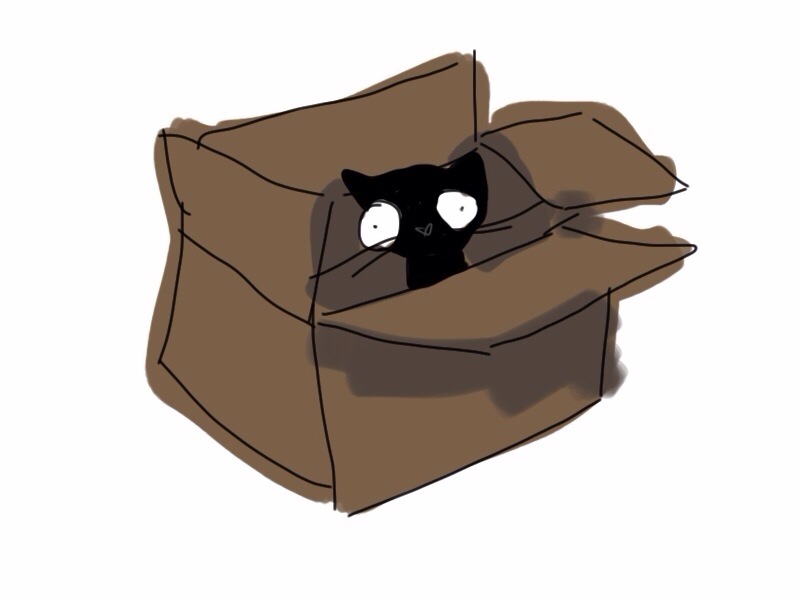 It is interesting… to me anyway… that cats like boxes but disappear when the box comes out to take them to the vet in. I mean it is a box after all.